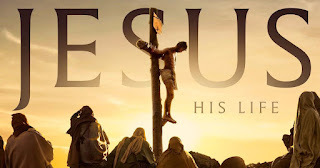 In a prior post I reviewed the first three episodes of the History Channel program Jesus : His Life. I've skipped the 4th through 6th episodes and will here be reviewing the final double episode that covers the Crucifixion. The Crucifixion episode also focuses on Mary Magdalene - leading with misinformation right out of the gate. We're told in the opening that Mary Magdalene is arguably the "beginning of Christianity" and that she was a disciple. We're told that "the first time we meet Mary Magdalene in the Gospels" is in a scene where she was possessed by demons and cleansed by Jesus. I suppose that depends on what is meant by "first time". First let's get a few things straight about Mary Magdalene. Mary Magdalene is barely mentioned in any of the Gospels. The first Gospel that was written is of course the Gospel of Mark, so in that sense, the first time we "meet" Mary Magdalene is in the Markan story. In Mark, Mary Magdalene is mentioned for the first time at the Crucifixion. In the original ending she is then mentioned as one of the women who find the empty tomb and that's it. Now the Gospel of Mark has a longer ending that was added later by a different writer, in which it is said that Jesus first appeared to Mary Magdalene, whom he had previously cast demons out of. What appears to be the case here is that the longer ending of Mark was added after Luke had been written, in which Luke had expanded on the character of Mary Magdalene . The longer ending of Mark incorporates several additions that were made by Luke. Even still, Mary Magdalene is barely mentioned in Luke either. At any rate, there is nothing in any Gospel that says Mary Magdalene or any woman was a disciple of Jesus. Despite this, the program tells us that one of the things that was so remarkable about Jesus is that he had female disciples. Nothing in the Gospels supports this and as we will see, this shows a misunderstanding of the story. The idea that perhaps Mary was a disciple is taken from the Gospel of John, which mentions a mysterious "beloved disciple" who goes unnamed. Some have speculated that this "beloved disciple" is Mary Magdalene. This idea is built on by later non-canonical stories that describe Mary Magdalene as a disciple. Yet, what is true is that women do play an interesting role in the Gospel of Mark (and consequently all the other Gospels as they copy from Mark). This issue is difficult to address because it gets at the heart of how to interpret the Gospel of Mark and deals with many layers of misinterpretation. You see, the "Gospels" (plural) are a product of literary evolution. We have the story of Mark that was written with one perspective and one agenda, that was then altered and changed by later writers as they took the Markan story and transformed into a story with a completely different perspective and agenda. The "Gospel of Mark" (a name assigned to this story by later generations) is not a story that was written for the purpose of edifying the origins of the Jesus movement. Indeed quite the opposite. The Gospel of Mark is a polemic against the leaders of the Jerusalem cult - James, John and Peter. The Gospel of Mark essentially portrays the movement as a failure. In the Gospel of Mark all of the disciples fail to understand Jesus. All of the disciples abandon Jesus. Peter fully betrays Jesus; Peter is not being cast as a leader of the Jesus movement, he is being cast as a failure who should be seen as a discredited figure with no right to authority at all. This is all because the Gospel of Mark is a story written from a Pauline perspective, and the apostle Paul was in conflict with Peter and the other leaders of the Jerusalem church. The Gospel of Mark is all about actually promoting Paul's vision and Paul's leadership. Now, how do Mary and the other women play into all this? Well, "Mary" (not Mary "Magdalene") is one of the very few women mentioned in the letters of Paul. I believe that Mary Magdalene represents the Mary mentioned by Paul in Romans 16. In Romans, Paul states that several women were benefactors of his that helped to support him and churches in the region through donations and such. So what appears to be the case is that in the Gospel of Mark the writer of that story portrays the disciples as fools who abandon Jesus and these women as the ones who actually support the church - support the movement. These women, in actuality, were likely something like housewives of wealthy or middle-class men, and they were patrons of Paul's cult. What's interesting in Mark is that women are universally portrayed positively and men also almost universally portrayed poorly. It's not just Mary and these supporting women that are given positive roles, we also have the the Gentile woman from Mark 7, whose daughter Jesus saves. This Gentile woman has one of the most meaningful interactions with Jesus of any character in the story. She is one of the few people in the story who really understands him and actually convinces Jesus to take action because of her understanding. So, clearly the writer of Mark was making some point with all this. What exactly this is all about I don't know, but it's certainly some theme in the Gospel of Mark that is much deeper than just the character of Mary Magdalene or even of the supposed female helpers. I think that a part of this theme in Mark has to do with juxtaposing these women against the male disciples, whom the author is trying to discredit in every way possible. This is the irony of Mark. The story of Mark is actually meant to fully and totally discredit the disciples. That this story was transformed into a narrative that edifies the disciples by later writers is a great irony. So anyway, back to the program. In the program they are trying to build Mary up as a disciple. This is ironic because the Gospel of Mark was meant to discredit the disciples and Mary is never associated with them. Indeed Mary Magdalene is introduced after all the disciples have abandoned Jesus. This is very significant (and completely bungled by Luke). The women in Mark are supposed to actually be better than the disciples. So calling Mary and the other women "disciples" actually misses the point of the original story. We are told in the program that the women come to the forefront of the story during the Crucifixion because at that point the disciples had to flee for their lives because the authorities were after them. Again, missing the point. No, the Gospel of Mark makes it very clear that the disciples abandonment of Jesus is a failure on their part. Peter doesn't just flee for his life, he betrays Jesus. In the story of Mark what we are told is that the disciples all totally fail to understand Jesus, they all abandon him, they all fail to to receive the mystery - the revelation. It is the women who receive the of the mystery of Christ but, "They said nothing to anyone, because they were afraid." This is the final line of the original ending of the Gospel of Mark. The women receive the revelation and they tell no one. Now again, the Gospel of Mark is a story written by a Pauline follower, from a Pauline perspective. The women tell no one, so who is the person that reveals the revelation to the rest of the world? It is Paul. This is the "secret mystery" of the Gospel of Mark. The Gospel of Mark is filled with clues about Paul and this is what the ending is about (which, by the way, I myself failed to fully explore in my own book). So this also gets at what I view as the fundamentally faulty approach that this program and virtually all Christians take to understanding the Gospels. You can't address the Gospels as a whole. You have to understand the evolution of the narrative. But this gets at the failure of Christian scholarship, because Christians don't even want to acknowledge the evolution of the narrative to begin with. For Christians the Gospels are four accounts with equal importance. In reality, what we have is a single story and then derivations of that story. The important story is the Gospel of Mark. If you want to actually understand the meaning of the story you have to focus on the original. Everyone else was just fumbling around and making half-baked alterations to the original masterpiece. So anyway, now we move on to the Crucifixion. We are told about Simon of Cyrene being forced to carry the cross. This is relayed as a historical fact, when, as with so much of the story, this is actually symbolic. As is typical, by interpreting this story literally much of the meaningful symbolism is lost. While it can't be established with certainty, I believe that the figure of Simon of Cyrene is meant to represent the apostle Paul. In the letter to the Galatians, which is referenced multiple times in the Gospel of Mark, Paul says that he has been "crucified with Christ" and he boasts of his bearing, "the cross of our Lord Jesus Christ." Given that the writer of Mark was embedding "secret" references to Paul throughout his story, it makes sense that Simon carrying his cross was meant as a secret reference to Paul. This is all the more likely given that there is speculation that the figure Simon Magus of later lore was meant to represent Paul. Stories about Simon Magus tell of a conflict between Simon Magus and Peter, which reflect the conflict between Paul and Peter described in Paul's letters. So anyway, we are then told that Jesus tells the women to weep for themselves, not for him, and that this is a prophecy for the coming destruction of Jerusalem. Firstly, this doesn't happen in Mark, it's a later expansion of the narrative, but more importantly, this is another element that reveals the nature of the story as a post-war commentary on the First Jewish-Roman War. Yes, it is true that the comment about weeping for themselves is a reference to the war, but this isn't something that Jesus said, this is something that the post-war writers were adding to the narrative to give the narrative meaning and relevance in context of the recent destruction of Jerusalem. This was an extremely common practice in Hellenistic literature. Writing stories set prior to dramatic events like wars in which prophets predict the future events was a major theme of Hellenistic literature, and that's exactly what we see in the Gospel stories. The Gospels are post-war commentaries on the destruction of Jerusalem that took place in 70 CE. This of course tells us that the Gospels aren't accounts of events that took place in the 30s CE, they are fabricated narratives from perspectives after the fall of Jerusalem. We now get to the actual Crucifixion itself. I was very interested to see how they were going to handle this scene as it is such an important scene in so many ways. As expected there was a lot of embellishment about how horrible and painful and devastating crucifixion is. Of course the whole religion is about suffering, so the fact that this was a preeminent form of suffering had to be made. They talk about the offering of wine and myrrh to Jesus and his rejection of it. They comment on this as an act of Jesus embracing the redemptive power of suffering, etc. But actually, this has to do with scriptural references and references to being a "nazirite". The line about Jesus being offered wine is a literary reference to Amos 2, which is a passage about offering wine to nazirites, which is offensive because nazirites take a vow not to drink alcohol, which is a vow that Jesus took at the end of the "last supper" scene, in reference to this same passage from Amos 2. This literary reference was interpreted by early Christians as one of the many signs that Jesus was fulfilling hidden scriptural prophecies. Again, taking this literally misses the point. Various elements of the Crucifixion scene are discussed and then Ben Witherington comes on to tell us that when Jesus said "My God, my God, why have you forsaken me," he was quoting from Psalm 22. This is what I was waiting for - waiting to see how they would address it. So you see, the entire Crucifixion scene is a literary construct built on Psalm 22. The casting of lots for Jesus' clothes, the mocking of Jesus, and his words on the cross are all direct literary references to Psalm 22. These elements exist in every single account of the Crucifixion, including non-canonical accounts. This was viewed by early Christians as evidence that Jesus had fulfilled scriptural prophecy. But what this really tells us is that the account of the Crucifixion is an entirely fabricated literary construct. The Crucifixion scene in Mark is constructed entirely from scriptural references. It is essentially one line of Jewish scripture after the next. This pattern fits with the rest of how the Gospel of Mark is written as well, which is also heavily constructed from scriptural references. 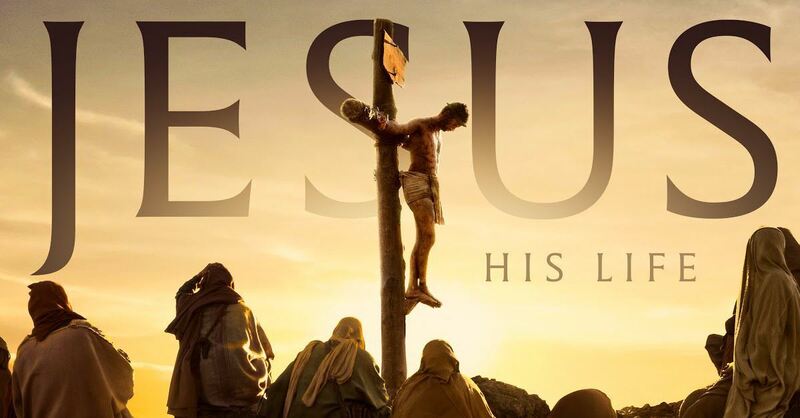 What this tells us is that the person who wrote the Gospel of Mark is the person who invented the Crucifixion scene. The fact that every other account of the Crucifixion contains these elements that are constructed from scriptural references tells us that every account of the Crucifixion is derived from the Gospel of Mark. As is typical of Christian scholars, they tell us on the program of agreements between the Gospels giving certainty to the truth of these events, yet in fact the agreement between the Gospels really tells us that no one had knowledge of these events at all, because every account of the Crucifixion is a copy of an obviously fabricated narrative. The claim that Jesus quoted Psalm 22 while on the cross is a modern justification for how it could be that so many details of the Crucifixion come from Psalm 22. The idea is that Jesus really quoted Psalm 22, which then guided early Christians to interpret the Crucifixion through that scripture. The problem is that this isn't an isolated case in the Gospel of Mark. Literally the whole story of Mark is a running series of these same types of scriptural references. Beyond the fact that the Crucifixion is thoroughly based on scriptural references we have the fact that the Crucifixion is set during the Passover festival, which is completely unbelievable. Jews did not hold trials or executions on the eve of, or during, holy festivals. The entire concept of this Passover Crucifixion is completely ahistorical and unbelievable, but the issue is that it was never meant to be taken literally to begin with. The Crucifixion of Jesus during Passover is meant to be symbolic. Jesus represents the Passover lamb, which is sacrificed to atone for sins. Again, the fact that Christians take all of this symbolism literally shows that they have failed to comprehend these stories from the very beginning. The fact that we have no real account of what is the most important event of Christianity, and certainly the most important aspect of the "life of Jesus", should give great pause to the consideration that we have any real knowledge of Jesus the person at all. If the the only account that we have of most important event in the "life of Jesus" is entirely fabricated, how possibly can any account of Jesus be taken seriously? If there is anything about Jesus that would likely have been accurately recorded or that we would have had multiple independent accounts of, it would have been his Crucifixion. But it is clear from ancient sources that at no time did anyone ever know of any account of the Crucifixion other than the account created by the author of Mark. There is no description of the Crucifixion, extant or described by ancient scholars, that meaningfully diverges from the clearly symbolic Markan account. Beyond the Crucifixion the program goes on to talk about Mary Magdalene finding the empty tomb. As usual, this narrative is heavily embellished with added speculation by the commentators and the miracles are treated as historical facts. The later embellishments added to the Markan narrative by other writers are described as if they are original accounts. Of course it's all just part of the evolution of the mythology, building on the original story created by "Mark" and twisting Mark into something it was never intended to be. This episode was actually a double episode that went on in the second hour to address the Resurrection. I'm not going to bother with the Resurrection portion as, again, this series isn't really worth the time. The whole program is a disappointing literal narration of the Gospel stories that generically blends them all together and doesn't really get at any meaningful understanding of them. The series does nothing to get at the original story of Mark and to understand how and why changes were made to that story as it evolved over time. It is impossible, in my mind, to understand the Gospels without understanding the original story and the changes that were made to that story and why they were made. So again I have to conclude that this program is nothing more than Christian propaganda masquerading as history, with so-called "experts" brought in to give the impression that this is all highly reliable historical fact. Instead of delving into an understanding of the symbolism of the Gospel narratives, we are given a literal account of a generic Gospel amalgam. I'm sure it plays well with many Christian audiences, but it is far from informative. And again, I've taken the time to address this program because it is programs like this that I believe are a major driver of public perceptions about the historicity of Jesus and the credibility of the Gospel stories.